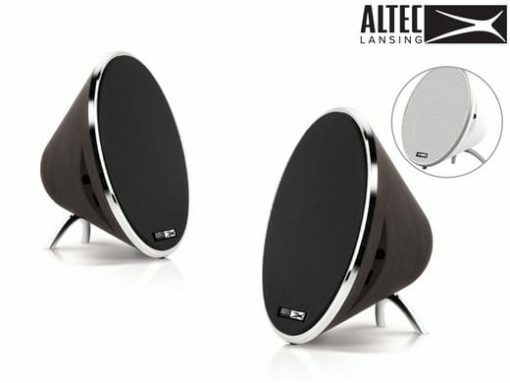 The Altec Lansing Twin Bluetooth Speaker pair features an 8 hour battery life, compact design, an onboard microphone for clear, hands-free communication and automatic pairing of both speakers, giving you perfect stereo sound wherever you may be. TWIN SPEAKER PAIRING INSTRUCTIONS: 1. 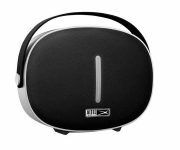 Keep the two speakers within 1 metre of a Bluetooth ready mobile device. Please make sure BOTH SPEAKERS are turned off. 2. Press and hold the MF button on each speaker for about 5 seconds, the speakers will turn on and then beep. Do not release the buttons. Keep pressing the buttons until they announce “pairing” (release the buttons). 3. Then they will announce “pairing successful”. One speaker will announce “left channel” the other will announce “right channel”. The speakers will then announce “pairing” again. 4. Enter Bluetooth setup on your mobile device and select “TWIN” from the list available. 5. 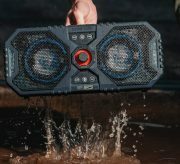 Once the pairing process is successful, the speakers will connect to your mobile device automatically and you will not need to pair both speakers together again. 6. If pairing is not completed within 10 minutes, the speaker will turn off. If this happens please repeat the pairing steps.